With a little initiative and creativity, you can work together with your child to shape memories as well as products. When my kids were little, they loved to make “soup”. Basically, as my wife and I cooked, we would let the kids combine inexpensive spices and leftovers into a giant bowl…and at the end the adults would have to taste the concoction. Now that the kids are older, they can actually help make real food. We love making crepes – the kids get to use the wooden spreader! And anything that requires the electric mixer is a bonus. 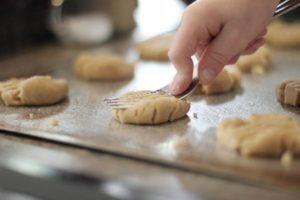 Making and decorating holiday cookies is a standby – it seems like a lot of work until you involve your kids in the entire process. Consider letting them help you search online for the recipe, then having them clear the workspace. Yes, it is probably easier to gather and mix the ingredients yourself, but this is part of the process. And there’s the key to cooking with kids over the holidays: Try to focus on the process of cooking and not the product of what you make. Your batter may be lumpy. Your cookies may be misshaped. But involving kids in all aspects of the cooking experience means that whatever you make, you will make it together. game Forbidden Island, your group works together to escape a sinking island before it’s too late. Or, to make sure everyone comes to a game with the same experience level, consider learning a new game together. Believe it or not, modern board games can actually be fun – for adults as well as kids! Players willing to laugh at the absurd will enjoy Exploding Kittens. Upper elementary or middle grade players may enjoy somewhat complicated but very cool games like Asara or Above and Below. Whatever you play, consider making it about learning the game together, rather than simply trying to win! If you can’t decide on a great game, consider working together to make your own. How long has that old VCR been in your garage? Do you really think you will ever use it again? If the answer is no, consider breaking out the screwdrivers and taking it apart! 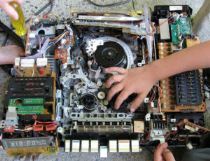 Looking inside your broken or unused electronics can be a fascinating and fun exploration. Can you extract a motor or a light that you can reattach to a 12v battery? Can you figure out how the mechanics inside the machine works? If possible, consider equipping your child with a small electric screwdriver to make the experience more fun and less work. When you’ve unassembled everything, work together to transform the pieces into a new work of art! The holidays are an opportunity, but they can also be a challenge! The thought of spending two hours and $100 on a project that will take your child 30 minutes and then require an hour of cleanup may not be your cup of tea. But with a little initiative and creativity, instead of setting things up for your child to do by him or herself, you can work together with your child to shape memories as well as products.